There's a wristwatch for every game you want to play. These luxury models by prestigious watchmakers transition seamlessly from a deep sea dive to a day at the derby. The 12 timepieces showcased here are rough and ready for adventure but smooth around the edges, sharp to look at, and smart on the inside. The choice between the devil and the deep blue sea is now moot. Water-resistant to 300m the new Seastar 1000 begs to be submerged. Tissot and Seastar go a long way back, but the latest version looks nothing like those modest waterproof watches of the 60s. With a sleek energetic design and extremely sturdy case, the Seastar 1000 combines the performance of an automatic movement with the aesthetic appeal of a timepiece crafted for connoisseurs. The Inverso is a symphony that subverts the subject of Giuseppe Verdis' defining opera, Nabucco. The harmony of the dial that traverses the colour spectrum from dark to light, embodies the wisdom of the individual who chooses the path of reason and changes the course of history. The dazzling 46mm case, tachometric bezel sculpted in titanium, and a sapphire crystal with dual-sided antiglare treatment of 2.5mm thickness, make this sophisticated timepiece more aesthetically appealing than its predecessors. 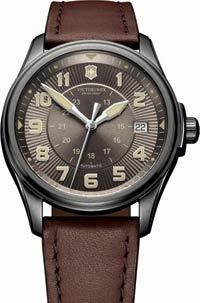 This timepiece is inspired by the 1997 Rainbow Flyback model that was developed exclusively for the French Air Force. The watch is equipped with the El Primero calibre, an integrated column-wheel chronograph movement that beats at a high frequency and is 25 percent faster than other mechanical calibres. 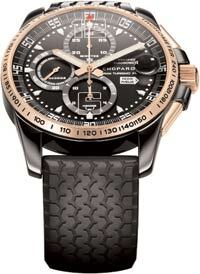 The Stratos Flyback comes in four models: a steel version, a hyper-resistant black Alchron version, and black and gold Alchron versions. The new Infantry Vintage Mechanical is trimmer in case size than the earlier mechanical models. The look is similar but the tone-on-tone colour block combinations set this piece apart. Its dial comprises three bold hands and three circles of indicators - 24-hour military markers in the middle, oversized Arabic hours around them, and a 60-minute/second track with five second intervals at the dial periphery. 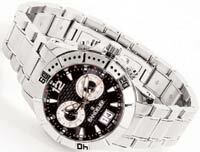 The look is rich, sophisticated, and masculine and the new dimensions make it appropriate for all wrist sizes. Each surface is satin-finished, with cut and polished angles subtly bringing a shimmering light to the outline. 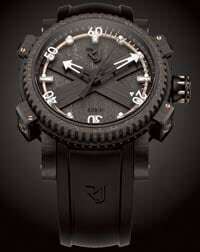 This professional underwater watch was first created half a century ago for commandos of the Egyptian Navy. The case is brushed bronze, 47mm in diameter, and water-resistant to 300m. The P.9000 calibre is structured with a three-quarter plate, and two spring barrels which provide a power reserve of three days. 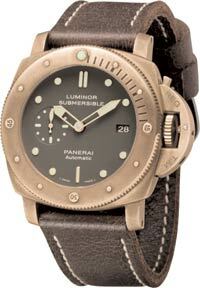 The dial has a deep luminous green tinge that contrasts well with the bronze finish. This watch exhibits a striking fusion of materials and colours; black ceramic, steel, titanium, rubber and a celebrated solid red-tinted sapphire crystal. 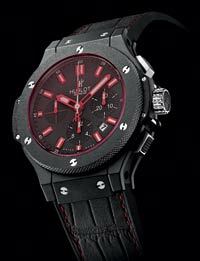 The case, which comes in 41mm, 44mm and 48mm options is rounded off by black alligator gummy straps and red top stitching. Omega has upgraded its Seamaster Planet Ocean range with the Seamaster Planet Ocean 45.50mm titanium liquid metal chronograph. 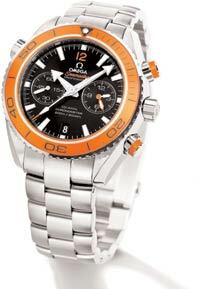 The new version has Omega's co-axial calibres and Si-14 grade silicon balance spring. Add to that Ocean watch dials, watch hands and the diving bezel, which now come in a cool blue or a vivid orange ceramic. Striking a balance between heritage, sports and lifestyle, this latest model by Bandelier is a perfect blend of style, finesse and craftsmanship. 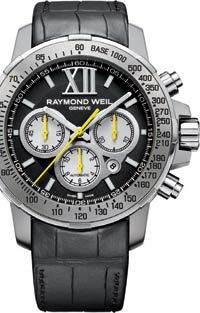 The watch features quartz movement displaying seconds, minutes and hours. It has a case diameter of 41mm, a bi-directional turning bezel and a bracelet, all polished and brushed with 316L grade steel and water resistant upto 100m. The watch comes with a generous 44mm case in steel or 18 carat rose gold, framing a vintage-style dial design with elongated numerals. The case is water-resistant up to 100m and is fitted with a new integrated strap in natural rubber that echoes the design of the famous 1960s Dunlop racing tyres. This limited edition watch is edgy and expressive in a 46mm case in black physical-vapour coated steel with a screw-lock crown. The caseback features an engraving of a black octopus, while the bezel is made from rusted steel salvaged from the Titanic. The dial has a beaten texture, with superluminova numerals. The strap in black vulcanised rubber features octopus-like suction cups underneath. IWC brings the Yacht Club back in the iconic Portuguese case as the 45.4mm Yacht Club Chronograph, the first sporty model in the Portuguese family. The movement is IWC's manufacture calibre 89360. Built for sea duty, a screw-in crown and crown protection help protect against the elements. The case also offers six bar water resistance.